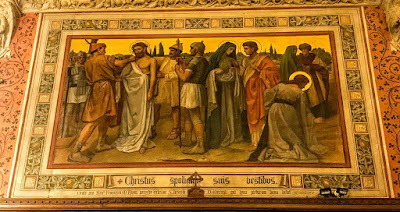 Today is Tuesday in Holy Week [16 April 2019]. Later this evening, I am leading and speaking at the Late Evening Office in Saint Brendan’s Church, Kilnaughtin (Tarbert), Co Kerry (8 p.m.). Pray for the Delhi Brotherhood Society’s Women’s Helpline and for the pastoral support it provides, that those offering counselling will be sensitive to what they hear and wise in their advice.